The fundamentals of productivity haven’t changed in 50 years. A couple years back, while binge watching Mad Men, I had a jarring realization- they were a bunch of drunks! No. Well, yes, but that’s for another blog post. The real light-bulb went on when I realized that nothing has changed at the office in 50 years. Longer even! It’s all the same fundamental actions, repeated day after day, year after year, decade after decade. Plato would recognize the patterns. Understanding this is crucial if you build or leverage common office tools & applications. In today’s parlance, i’m talking about productivity- the term used by technology companies to describe the things you do in a professional setting, aka at the office. Of course, these days- the office can also mean your couch or on an airplane or your favorite cafe. Productivity itself encompasses a huge range of things- from developing proposals, to code, to creating designs, scripts, apps, widgets, gadgets, doo-hickeys and whatzits. That’s it. No matter how you dress them up, what MBA-speak you apply to them, it really comes down to just four fundamental actions. So grab a gin & tonic and let’s break them down a bit. Create: Yes, create contains recreate, refine, revise, edit, rework, redo, scrap and start again, but really it’s all just create. Each scratch of a pencil, stroke of a pen, tap of a key, voice in a microphone, stroke of a stylus, excretion of plastic from a 3D printer- it’s all just the physical manifestation of what our brain can imagine. Create is turning darkness into light. Something from nothing. It is the most sublime things humans do. Treat creation with some reverence- it’s the best that we get. Share: Whether you are walking down the hall with a storyboard, asking someone to lean over your shoulder as you take them through a virtual world, sending an email, printing a presentation (hey, it still happens), reviewing a forecast or balance sheet, chatting with coworkers or clients via Skype or conference call- the next step after creation is always to share your work. Discuss: This is such a crucial part of the productivity process and one that, I think, still has the most room for improvement. Discussing what has been created, is still, I assert, best done in person, although many factors contribute to how often this actually occurs. So much of what we have to say to one another is not done with our words. Gesture, expression, nuance, energy- all function best in person. Email, the early hero of sharing, has sadly become, the ill-suited Goliath of discussion. The interminable discussion threads that travel around the office via email are the bane of all our existence and yet, we can’t quite quit them. They are just too easy to start and volley back and forth like a ping pong ball or a hot potato or sometimes- like a live grenade. Decide: Next to create, decide is my favorite part of the process. I love to take action (which can be a liability, I know). Nevertheless, decisions can be made by groups or individuals and increasingly, we like to “believe” by data. Big data has become the darling of many decision-makers, though the smart money knows, that unlike sitting in Google’s self-driving car, few leaders would completely cede control of decisions to almighty data. Imagine sitting in that self-driving car completely blindfolded- how comfortable are you with that high speed trip on the Autobahn now? To decide is decidedly human. Would you trust a self-driving car to make ALL the decisions? Would you get out of the driver’s seat and ride blind-folded? Four fundamental functions. Create. Share. Discuss. Decide. Repeat ad infinitum. The point of this is to say that there are no new activities being done at the office- which is a powerful insight because it frees you. If you are in the business of creating productivity, it frees you to focus on one area where you can make your mark- HOW. How these things are done is where the magic can happen. Where, dare I say it, the innovation happens. Strike down the idea of some new step in the process. Ban the idea of new ways to work. There is only Kaizen. There is only the continuous improvement of HOW. Years ago, at Microsoft- I talked about how the company needed to focus on the mental models that people had in their brains. What I meant was, what do people “see” in their minds when they were doing these four fundamental activities? How much of a person’s brain did we own? The end game is to retain as much of the customer’s mental space as possible. Before the digital age, our mental models were of physical things- paper, pencil, ink. 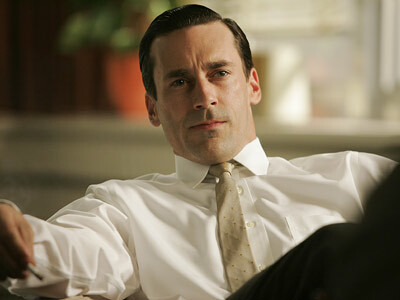 In Don Draper’s day, he might mentally envision a sketch pad or a notepad to capture an idea. He’d think about physical storyboards, the gritty feel of newsprint, or the silky feel of a magazine print between a reader’s fingers. I would grind my teeth in frustration that no one seemed alarmed that the mental space once occupied by Word or Outlook or even PowerPoint was being cannibalized and consumed by Facebook posts, Twitter feeds, and YouTube videos- powerful technologies that did many of these things better. Microsoft dominated the mental space of most office workers and professionals. If they imagined it, Microsoft had the vehicle to move it from the intangible to the tangible. Today, an individual’s mental space is fragmented into a dozen or more, different platforms, with more competing for attention every day. A software developer will move between his dev environment and the virtual product he is creating- perhaps a virtual sketch pad or notepad. Game developers will move between 2D code and the gorgeous, expansive worlds they create in AAA games. As a writer, I see a blank white page and care only about the fastest way to get my thoughts out of my head before they disappear. Swype, which feels like a cross between cursive and conducting a symphony, is starting to give keyboards a run for their money in this arena. I couldn’t have imagined that even five years ago. If you are a technology company working in productivity, you need to get clear on which of these four fundamental activities you are trying to improve and then spend all your time thing about how. How. How. How. How. How can I decrease the distance between thought and action? How can I pull abstract ideas out of my customer’s brain? How can I improve sharing, discussing, deciding? How do I make it feel easy? On the other hand, if you are a consumer of these tools, if you are in an industry that uses these tools to produce other things- lawsuits, drugs, movies, books, light bulbs- whatever, then you must think about how this piece of technology is improving our ability to execute against these fundamental processes? How is this helping me make a better light bulb? How is this helping me communicate with my customer more effectively? In the world of productivity, the world of create, share, discuss, decide, there is no new step to be added to this process (though I’d love to hear your feedback if you have an argument to the contrary!). 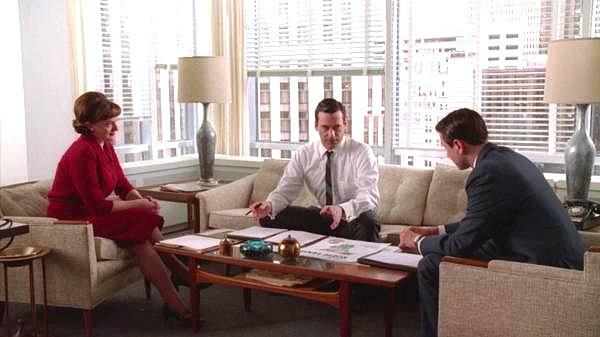 Don & Peggy would get along just fine in the digital office though they might miss their drinks & smokes. They would understand that there remains incredible opportunity for advancement. Even Shakespeare was wiser than he realized when he had Hamlet quip, “I could be bounded in a nutshell and count myself a king of infinite space.” Indeed, productivity is simply a nut to be cracked, with infinite opportunity for improvement. Never thought I’d say it, but thanks Don Draper, for enlightening me. Cheers! After my last post discussing the incredible power and social good that technologies like Facebook and Twitter are generating today, I got to thinking about how interesting it is that Microsoft hasn’t been a participant in this most recent round of platform-level innovation. In fact, in a way that was oddly similar to Microsoft’s reluctance to embrace the power of the internet, until Bill Gate’s watershed memo, when the whole company pivoted to bear-hug the Internet “tidal wave” (should have more accurately said tsunami…), Microsoft was also reluctant to embrace or leverage Twitter or Facebook. Perhaps another instance of “Not Invented Here Syndrome” that the company seems to suffer from? 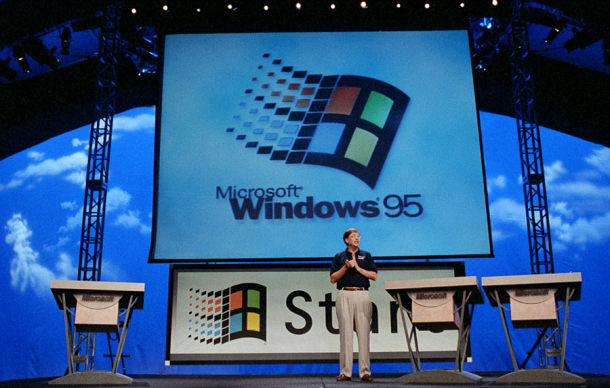 Anyway, then I got to thinking about the previous technology revolution, that Microsoft dominated, desktop computing. Although my children will never know the world before the age of easy, accessible computers, the Windows operating system was practically a single-product global revolution that changed the world and created vast wealth for Bill and many others, as Twitter, Facebook, and Snapchat (shudder) are doing today for their young (mostly male, *sigh*) leaders. So that line of thought brought me to another question- Bill is in a unique position, he has been the most prominent and influential figure in a technology revolution that brought amazing change to how our global citizenry communicates and works, and created tremendous wealth in the system and for himself. Then in 2000, rather than continuing to drive the engine of innovation and product development that he created- he boarded a new train: direct community investment. Let’s unpack why this is such an interesting change. What Microsoft did through the 80’s and 90’s was ground-breaking and transformative and without a doubt, incredibly good from a social welfare perspective. The creation and expansion of affordable computing power leveled the playing field for invention, learning, development, communication, and made it possible for nearly *everyone* to participate and use computers for a myriad of purposes. There would be no Zuckerberg without Gates. 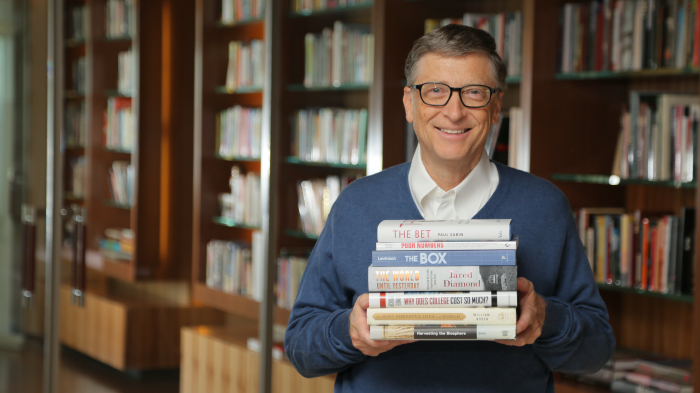 Bill’s reading list is ALWAYS worth reading! I have a good measure of him based on his actions and writings over the years. (I am a devotee of his reading list!) He is a deeply thoughtful, highly intelligent, driven man who is passionate and committed to doing something meaningful with the power that his wealth has afforded him. 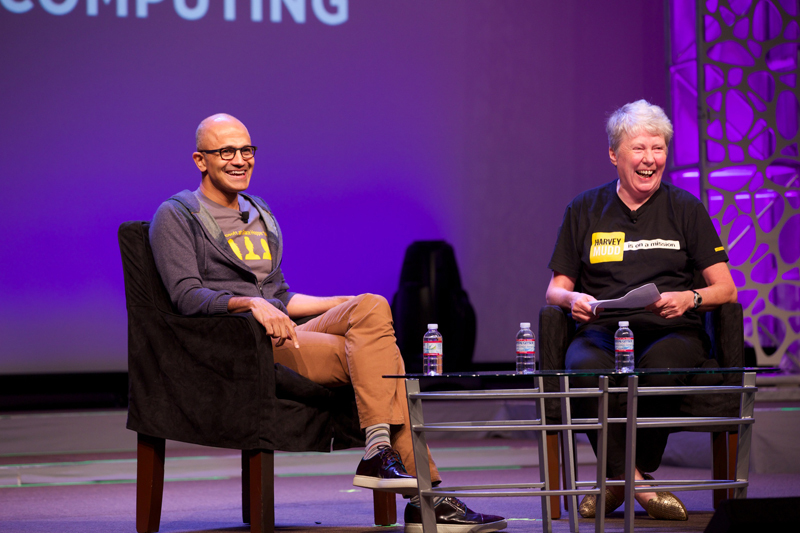 I can only imagine the hours of reflection and thought that went into stepping away from Microsoft to lead the Foundation with Melinda. It’s not an easy question to answer, though history tells us that he decided in favor of the Foundation, for which I applaud him and hope that he will serve as a model to other young leaders who also amass great fortunes. I am a huge fan of the Bill & Melinda Gates Foundation and one of the things that stands out to me is the recognition that even with the incredible financial resources at its disposal, the organization doesn’t try to directly assault any of the problems that fall within its charter (perhaps with the exception of eradicating Polio)- and indeed alleviating global poverty, improving global health and education are too vast to be simply solved through the liberal application of money. The underlying conditions and systems that cause and perpetuate these realities are too complex to be solved through money alone. Rather, the Foundation has developed the concept of multiple focused, concentrated investments being made or seeded, with the aim of continuing to fund and grow those that take root and flourish. This model has roots in Biology and can be seen even at play in the free market system. The Foundation has great material on its mission and values- I highly recommend reading its Annual Reports. I have little doubt that the Foundation’s impact and legacy, and thus Bill & Melinda’s, will be one of the highlights of the 21st Century, just as the computing revolution ushered us out of the 20th Century on a high note. We are on a bullet train. Remember to take in the view! So what’s the moral of this little journey? In part, it’s a reflection on the rapidly changing world that we live in. 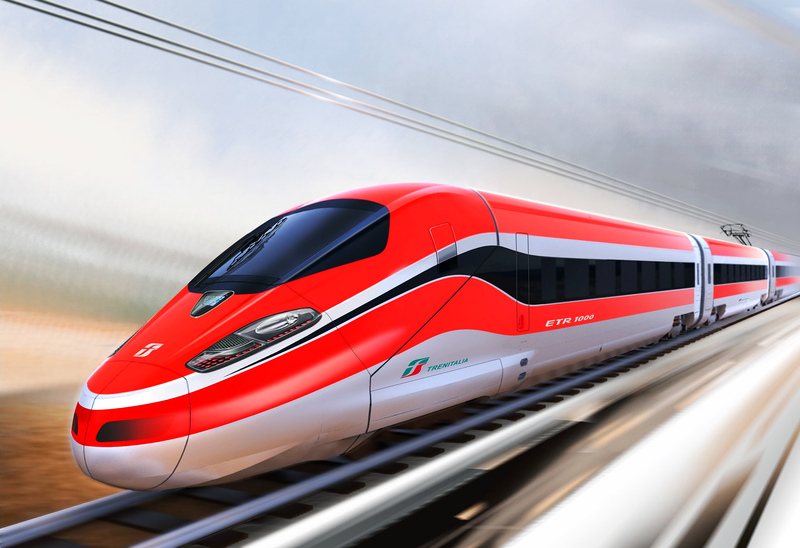 When observed from a distant vantage point, innovation is like a bullet train and we are its lucky passengers, watching the world whiz by, a view that we can become numb to, if we don’t take the time to really *look* at the transformation happening before our very eyes. And yes, there are some very special people who participate in driving and fueling that train. Bill Gates is undoubtedly one of the best and most remarkable among them. Above all- I’d love to get Bill’s thoughts on this question, anyone have his number? As always, I appreciate you reading and sharing my blog! It’s fun to sit alone and ruminate on these questions, but I far prefer conversation- so please share your comments and thoughts!